This has been quite a task in itself; just getting everything set up in terms of paperwork, and then the port itself; making the game adapt to all three different play modes that the Switch offers on the fly, handling the various potential states, and then complying with any technical requirements by Nintendo. One of these actually had me completely rewriting Spoiler Alert's entire savesystem, which was a major pain due to several different factors. For one, the code is more than four years old, and four years is a lot in terms of how much you change as a coder, especially when you have to change code you haven't looked at for years. Second, Spoiler Alert was developed in GameMaker: Studio, but in order to support Switch, I had to bring the codebase into GameMaker: Studio 2, which is radically different in enough aspects that I actually had to rewrite a handful of fundamental code in the game just to make it run. Lastly, the game has always simply autosaved at will when relevant. 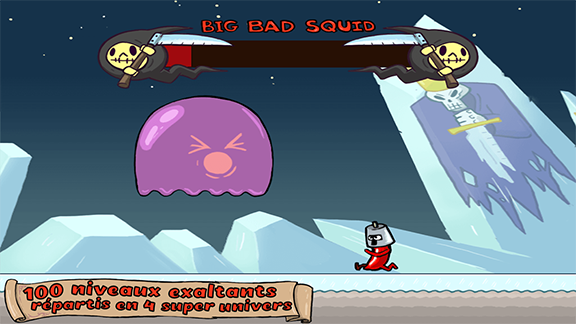 Since the game was initially for a fairly casual mobile audience, it was important that the user didn't have to think about stuff like saving, and furthermore, if the game got suspended by a phone call, a dead battery or whatever, the user would never have to lose more than maybe 10 seconds of play. This is great and all, but this new requirement forced me to write everything temporarily into a buffer (rather than to disk) and then make a very deliberate decision on when to save that buffer. This was actually one of the biggest pain points in porting the game, and dragged out for a few weeks. When the game was technically finally approved, there was a whole lot of additional stuff that needed approval, stuff that didn't really have anything to do with the game itself, stuff like promotional material etc., a new trailer had to be made to include Nintendo's official trademark logos and such. Also we had to do a French translation of the game's text and screenshots for France and Canada. And every time a submitted draft of promo stuff was rejected for whatever reason, I had to revise and re-submit accordingly. This process also dragged on for about a month or two. All said and done, I received the devkit late august, and everything was finally approved and greenlit for release somewhere between late December and early January. We could actually have had a release in January, but given the choice between mid January or February 1st, we chose the latter. Conclusively, the lack of silence in 2018 is largely down to the fact that I've spent around 4 months on the Switch port, at least a few months on the Xbox One port, and then all the time in between that on Ronn For Your Life. As a result, progress on Ronn hasn't been as aggressive as I'd have liked, but rest assured, there has been progress, and there's a huge backlog of topics that I'm going to cover on this blog in the near future. And while the Xbox One port will still be taking some of my time during 2019, mostly, it's now full sail on Ronn For Your Life. But for now, we're really excited to finally bring Spoiler Alert to what is, perhaps, its most appropriate home of all. We've presented the game on Windows, Mac, Ubuntu, iOS, Android, even Windows Phone... 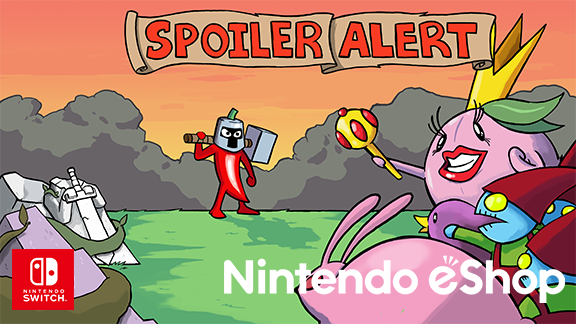 But when you think about it, Spoiler Alert has always been intended as a love letter to Super Mario, and so to finally be able to have our little chili knight join the family that actually inspired him to begin with, it... It sort of feels like coming home.